The offers listed below have expired. Click here for the top current credit card sign up bonuses. Which is a better use of a five dollar bill: burning it or cutting it into confetti? Between burning it or cutting it, one probably is better. But if you asked me that question, I would answer: its best use is spending it or saving it or donating it. How is this relevant to collecting miles? There is one clearly superior way to earn miles from your spending: Open up cards that have a big sign up bonus, meet the minimum spend required to unlock that bonus, repeat. 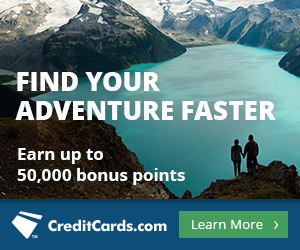 American Airlines Citi Visa: 75,000 AA miles after $1,500 in spending, no first year fee. I’ll have a personal valuation of AA miles in the next week, but for now let’s conservatively value them at 1.5 cents per mile. That’s an $1,125 rebate in the form of AA miles on my first $1,500 in spending or a 75% rebate! American Airlines Citi Amex: 75,000 AA miles after $4,000 in spending, no first year fee. An $1,125 rebate on my first $4,000 in spending or a 28.1% rebate! Amex Platinum Card: 50,000 Membership Rewards Points after $1,000 in spending, $450 annual fee. I value one MR point at 2.55 cents, so this card has a $1,275 or 87.9% rebate on the first $1,450- $1,000 spending plus $450 fee. Of course, I actually got another $500+ in value from this card in the form of a $200 United gift card, $200 AA gift card, $100 Global Entry, and lounge access at most airports- all for free! And the list could go on and on. The takeaway is that sign up bonuses are huge rebates, from 28% (pretty sweet) to over 100% in some cases (free money). So that should be the message of everyone talking about the subject of miles. Open up cards that have a big sign up bonus, meet the minimum spend required to unlock that bonus, repeat. And yet, a ton of virtual ink is spilled on the subject of which card to use for daily spending. Answering this question, which is frequently posed by miles collectors, means answering whether it is better to burn or cut up a five dollar bill. Sure, when not clearing bonuses, maybe the Chase Sapphire Preferred or SPG Amex earns an extra 1 or 2% rebate over the other in certain situations. But why consider a tiny difference in rebate like 1 or 2% when clearing bonuses is a big double or triple digit percentage rebate? 1) Your spending dwarfs the amount you need to meet the minimum spending required to unlock every attractive bonus. In this case, you should probably be using cash back cards anyways for the extra spending. 2) You have an important loan application coming up, so you don’t want the inquiries on your credit score that come from credit card applications. In fairness, The Points Guy does say this, but then he lets by the equally shaky: “However, many people who find a card they like want to stick with it.” Why stick with a card other than the fact that it gives you the best deal? And which card gives you the best deal? The one on which you’re clearing a huge sign up bonus! 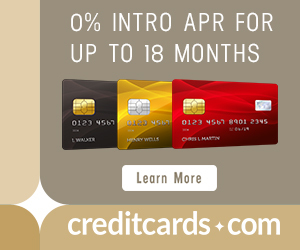 Previous articleFree First Class Next Month: How Many Cards Can You Personally Apply For? Question. Would you know why I can’t pay some of my bills, such as my mortgage or my utility using a Visa. Once I go through the choices, I only get an option for either MC or Visa, which I thought was very strange. Often a merchant, online or in real life, will accept some types of cards but not others, usually Amex. The main reason is that different types of cards charge different processing fees to merchants, with Amex charging the highest. How many cards are there that have 50k+ signup bonuses? If you apply for 1 or 2 per issuer per quarter, how soon would it be before you exhausted all those cards? Wouldn’t you soon be using a regular card for everyday spending? Maybe one day you’ll need to use a regular card for everyday spend, but let’s delay that day until it’s forced upon us not hasten it. And that day doesn’t have to come soon at all. There are often limited time promotions that push cards up to high bonuses, business versions of most cards, churnable cards, and new cards all the time. I like the way your are thinking. It was a little hard when I first started churning to give up my 1% cashback (3% gas) rebate on my Chase Freedom card. But I quickly saw the light that you describe here. Now every month or two it seems I am handing my wife a new credit card and saying “Here, use this one for now”. I’ve learned to focus on the Amex cards first because they are harder to spend on. It’s just that simple, isn’t it. Thanks for your story. Just came across your blog. Thanks for all the excellent info. I now got it in my Google Reader. Love this particular post BTW. It took me awhile to figure this out, but spending requirement/sign-up bonus cards are definitely the way to go. I just cancelled my American Express Blue Cash Preferred (with 6% CB on groceries, 3% CB on gas, and 1% on everything else) for this very reason. I’m currently churning the Citi Thank You Premier ($2500 w/in 90 days) and got my wife churning the Chase Sapphire Preferred ($3k w/in 90 days). The ultimate rewards I derive from these cards with my spending power far outweighs anything I could earn categorically. Exactly! Glad you’ve seen the light! No, some of those first purchase cards I’ve used 1-2 times only. How long do you recommend to wait after you closed the card and before applying for it again? Love your blog. Thank you.